Our Vendor Social is a happy hour where event + creative entrepreneurs can take a night off, celebrate hard work, and make quality connections. We want everyone to feel welcome while having a great time! Each of our events is unique; we like to mix things up, have a great time, embrace new challenges, and keep it interesting! Happy hour – because what’s better than toasting with other rad entrepreneurs?! Competition – we’re all about supporting the community! Awkwardness – because we’re super pumped to meet you! Would you like to be a Participating Vendor? Click here! Let’s create a supportive community of creative entrepreneurs! 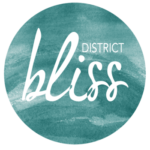 District Bliss DC – Vendor Socials from Sarah Walters on Vimeo. A HUGE thank you to all of our Participating Vendors!